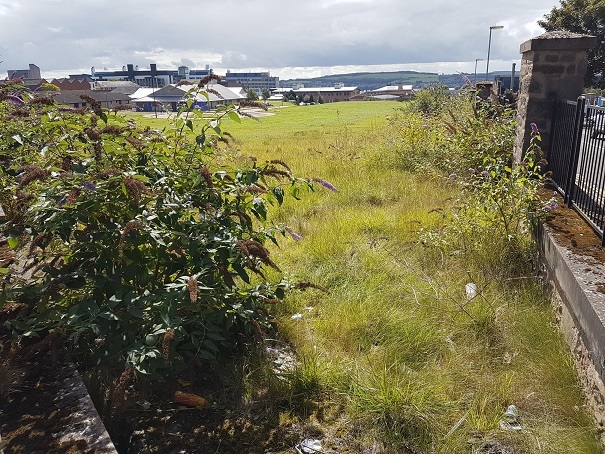 I have called on Dundee City Council to consider additional or alternative uses for the Technopole site in the West End (see photo below) that has sat largely empty for more than the previous decade. The site runs to the east of Annfield Road from Blackness Road in the north to Hawkhill to the south. Funded originally to establish biotechnology, creative industries and digital media operations, there is some business use of the site but much of it has not been developed and sits empty and, in parts, overgrown. “I can confirm that DCD Ltd only own one building within the Technopole which is the Incubator II building in James Lindsay Place. The remaining buildings and land is in City Council ownership. (For info – DCD Ltd – Dundee City Development Limited – was established by the City Council some years ago to assist capital growth so the whole site is in essentially in public ownership). I have now written again to senior council officers asking for a progress report on alternative uses for the currently unused parts of the site. I have also suggested that part of the unused part at the northern end nearest Blackness Road could be converted into some parking provision even short-term to assist residents and businesses in the eastern part of Blackness Road, where parking is difficult. It is vital that proposals come forward to make better use of the currently unused parts of the Technopole site. It has been under-used for years and this situation cannot continue. Some short to medium term parking provision would be a boon whilst a longer-term strategy is being developed. For some considerable time, much of the area of Dundee Technopole south of Blackness Road, immediately east of Annfield Road, has remained undeveloped. Residents in the area have queried why this is the case and if the City Council is actively marketing the unused the unoccupied parts of the site. 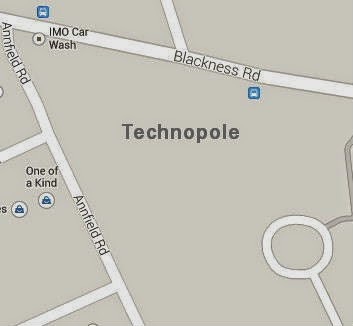 “With the economy now picking up albeit slowly, there has been no firm interest in the sites at the Technopole, though we continue to show it to relevant potential investors. 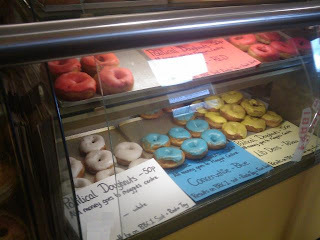 One innovative feature of the General Election campaign in Dundee was the sale of doughnuts in party colours – sold for charity by Clark’s Bakery of Annfield Road. The yellow ones were very tasty – can’t comment on the rest! Dundee City Council proposes to make an Order under Section 14(1) of the Road Traffic Regulation Act 1984 for the purpose of facilitating gas main reinforcement works. The Order is expected to be in force for four weeks from 16 February 2009. Its maximum duration in terms of the Act is eighteen months. The effect of the Order to prohibit temporarily all vehicular traffic in Annfield Road from Hawkhill to Blackness Road. Parking in Annfield Road will be suspended for the duration of the works. Access to businesses will be maintained for the duration of the works. An alternative route will be available via Hawkhill, Peddie Street and Blackness Road. If you have any queries please contact the City Council on 433168.